Garmin’s GNX20 Marine Display provides important vessel information on the 4” Glass Bonded Display. Customizable Color Background and User Profile, the GNX20 uses NMEA2000 connectivity and monitors GPS speed, water depth and temperature, wind direction, and wind speed when paired with appropriate sensors. 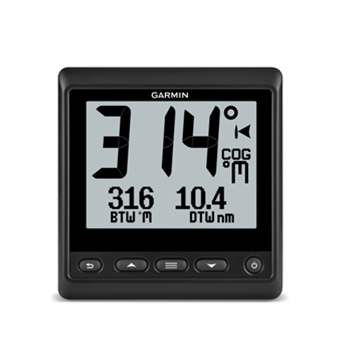 A highly visible marine instrument display with black digits or graphs on a white or color background that can clearly display 50+ marine and boat parameters is the GNX 20 from Garmin. The GNX 20 has a 4” glass bonded display to eliminate fogging and at the same time provides the user with a higher visibility because of its anti-glare lens. The GNX 20 can display over 50 boat or marine parameters depending on sensors as well as depth, speed and wind. The GNX 20 will appeal to the Sail boater, as well as to the power boater with limited power, because of its minimal current draw at 400 mW when used in mid-level backlighting. Easily interfaced to any existing NMEA 2000 network, with its included hardware, the GNX 20 can provide you with valuable data in larger characters than what may be available on your chartplotter. For the sail boater you can have a 4” display for your wind parameters alone giving you wind speed, direction, and angle when connected to one of gWind Transducers. The GNX 20 is fully customizable for both sail and power vessels to show the most important data the captain requires. In addition to being fully customizable the GNX 20 can also display information in gauge or graph mode for those who prefer this presentation. On last consideration for the GNX 20 would be mounting, which can be done using the provided low profile flush mount kit or the optional flat mount to match a glass helm. The GNX 20 can fill the needs of a lot of mariners with its ability to interface to anyone’s NMEA 2000 network to display their critical parameters for safe navigation. 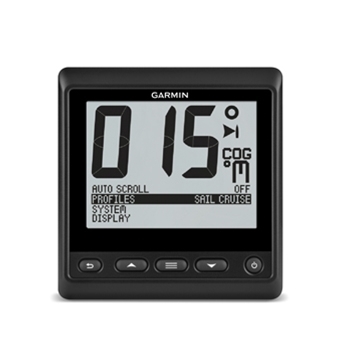 Each Garmin GNX 20 Display comes with: GNX 20, Trim piece snap cover, Protective cover, Flush mount gasket and hardware, NMEA 2000® T-connector, NMEA 2000 drop cable, Installation instructions, Documentation and a Two -Year Warranty.